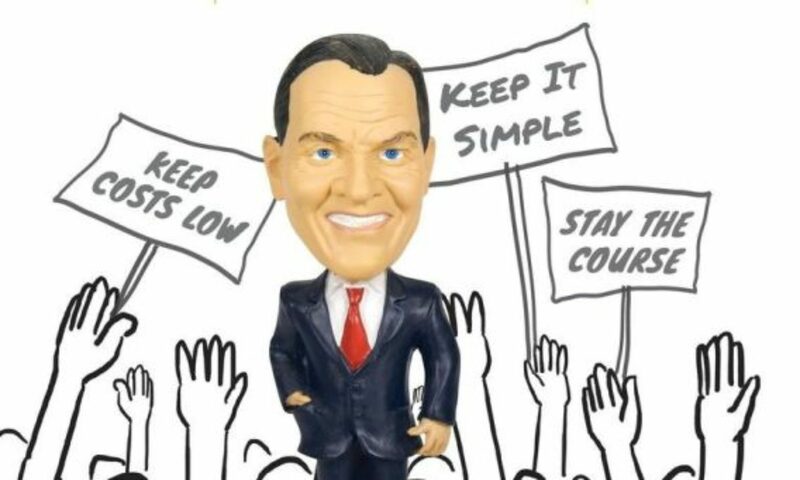 The South Bay Bogleheads are a chapter of the The John C. Bogle Center for Financial Literacy. Our investment philosophy is right here. Our goal is to share information about financial wellness and investing. Some of us are newbies and some of us have years of experience. Everyone is welcome. Our next meeting will be April 22, 2019 at 7pm (postponed from April 8). Our theme will be: What we learned about taxes this year. Barbara Briseno will speak about tax tools and tax preparation. Alan Baker will speak about tax law changes, gifts, and charitable donations. We meet at Merrill Gardens in Campbell. Here’s the information about parking and facility use. Our meeting notices are posted here, on the Bogleheads forum, and in our email list. For more discussion, join our email list. Arun Koparkar’s slides are here. January 10, 2019: Planning for Health Care Costs. Jeanne Texeira recently retired and focused on Medicare. Amit Jain has researched why insurance costs are so opaque. Harry Sit has written several pertinent posts on his widely-read finance blog. He covered how to select a “non-group” plan at pre-Medicare age, the choices, costs, and how to use ACA coverage. Jim Cosgrove shared real data on post-retirement costs over two decades, a rare opportunity to get a view of the actual trends in costs. Siva Uppalapati outlined the worst-case scenario for health insurance costs. February 17 at 11:30 AM at Harry’s Hofbrau. Roundtable discussion following up on January’s topic. There’s more info on the Bogleheads forum. April 19 at 7:00 at Merrill Gardens in Campbell. Panelists Rick Huang, Greg Dietrich, and Thomas Wang opined on: How are you preparing for the next bear market? The meeting notes are here. May 10 at 7:00 at Merrill Gardens in Campbell–an Investors’ Roundtable panel and Q&A. The meeting notes are here. July 16 at 7:00. TWO topics: Wild Cards and Black Swans: What are they and how to prepare – by Arun Koparkar AND Treasury Securities by Jim Cosgrove. Jim’s presentation is here. September 20 at 7:00. Jim Cosgrove presented Creating Your Financial Wellness Checklist. November 12 at 7:00. Steve Yang led a review and discussion of Ray Dalio’s book, “Principles for Navigating Big Debt Crises”. Steve’s review is here. The book is available as a free download here. Our meetings in 2015 – 2017 are here. You are welcome to join our mailing list. Meeting announcements are published there and members post questions and answers. DISCLAIMER: The content of our meetings, our website, and the emails sent through our mailing list were prepared by members of the South Bay Bogleheads for informational purposes only and are not intended to and do not constitute investment advice, nor are they intended to create or constitute an advisor-client relationship. South Bay Bogleheads does not approve or endorse any user generated content, nor does it have control over the quality, correctness, timeliness, safety, truth, accuracy or legality of user-generated content. You may find such content offensive, harmful, or inaccurate. You should not act upon this information without seeking guidance from qualified professionals or performing their own due diligence. Past performance and future projections are no guarantee of future returns. Investing involves risk and possible loss of your money. South Bay Bogleheads reserves the right, but is not obligated to remove or edit user-generated content.